The structural integrity must not be compromised. It should be free of large cuts, any bulges or lumps both internally and externally. No plies or cords should be exposed. 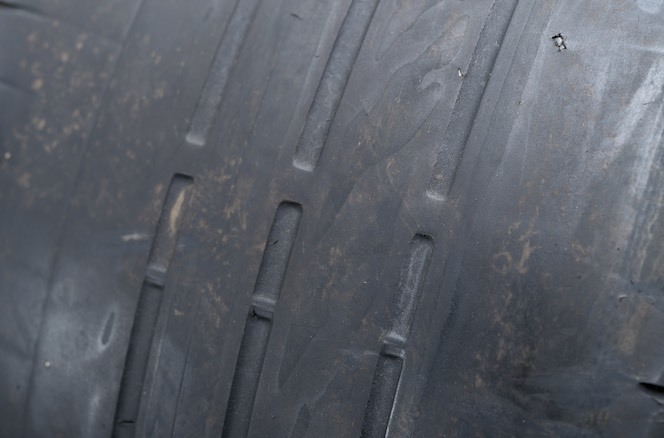 Part worn tyres which have not been retreaded must clearly show the relevant ‘E’ mark alongside which ‘PART-WORN’ must be permanently and legibly applied in letters at least 4mm high. These words cannot be hot branded or cut into the tyre. A tyre has to comply with all these requirements whether or not it is fitted to a rim.